Barr was informed by phone ahead of time. But other "Roseanne" producers and cast members only found out about the decision when ABC issued a terse statement shortly before 11 a.m. Pacific time. Inside ABC, there's now a sense of pride in how quickly this controversy was contained -- but there are lingering questions about why the network got back in business with Barr to begin with. The ABC bosses woke up to Barr's overnight posts attacking Valerie Jarrett, Chelsea Clinton and George Soros. Clinton, on the East Coast, responded to Barr bright and early, at 7 a.m. Eastern time. She refuted Barr's conspiratorial claim that she is related to Soros. At the same time, one of Barr's other tweets -- the racist one equating Jarrett to an ape -- was catching fire from outraged Twitter users. Barr lives in Hawaii, but it's unknown if that is where she was tweeting from. By 9:30 a.m. Eastern, 3:30 a.m. in Hawaii, she was tweeting again, retweeting various conspiracies and responding to Clinton's comment. In her response, she advanced an anti-semitic and debunked idea about Soros. ABC is headquartered in Burbank, California. By 10 a.m. Eastern, 7 a.m. Pacific, ABC executives were talking by email and phone. Key executives included ABC Entertainment president Channing Dungey; her boss Ben Sherwood, the president of the Disney/ABC Television Group; and his boss Bob Iger, the CEO of Disney. Around 10:30 a.m. Eastern, 7:30 a.m. Pacific, Barr tweeted out an apology to Jarrett. She said she was "leaving Twitter." But ABC had heard this before -- there have been past flare-ups when Barr pledged to stay away from the social network, only to come back days or weeks later. ABC executives thought -- and hoped -- that Barr would tone down her tweeting and focus on her sitcom. But that didn't happen. Barr held onto her beloved Twitter presence and the community she has cultivated there. So when Tuesday's tweets stirred outrage, the question within ABC quickly became, "Is there a path forward?" In other words, would any apology by Barr or sanction by ABC be sufficient? A call was arranged with Barr, her publicist, and executive producer Tom Werner, whose production company Carsey-Werner owns the sitcom. Barr was contrite on the call, according to a source. She was told that cancellation was a possibility. And by 9 a.m. Pacific time, it was clear to the virtually assembled executives that the sitcom was no more. "There was no way to come back from this," one of the sources said. While the executives were conferring, critics on social media were starting to point out the network's silence about the controversy. It was starting to get coverage on TV and on major news websites. ABC viewers, advertisers and rival networks were all watching to see what the network would say and do. 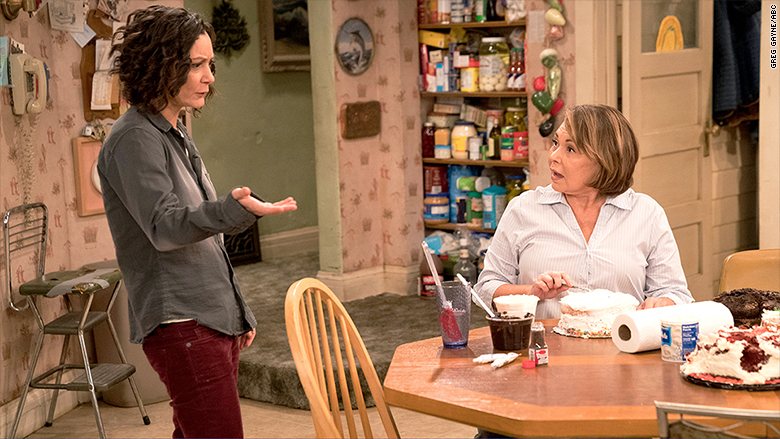 It was easy to imagine an ad boycott against "Roseanne" and other ABC programs. However, ABC sources said advertisers were not a factor in the decision. After 9 a.m. Pacific, the conversation among the bosses turned to when and how to cancel the show. Meantime, some of Barr's colleagues were starting to speak out. Shortly after 9 a.m. Pacific, Wanda Sykes, a consulting producer on the series, said on Twitter that she wouldn't be a part of season two. Then one of the show's stars, Sara Gilbert, tweeted that Barr's comments were "abhorrent." She said the sitcom is "separate and apart from the opinions and words of one cast member." True -- but Barr's name is the title of the show. According to The New York Times, Tuesday happened to be the writing and producing staff's first day back at work for season two. An ABC source confirmed this and said the staffers were just beginning to arrive when the cancellation news hit at 10:48 a.m. Pacific. The executives decided that Dungey should issue the statement, and then Iger would follow up with a tweet. Dungey kept it to one sentence: "Roseanne's Twitter statement is abhorrent, repugnant and inconsistent with our values, and we have decided to cancel her show." 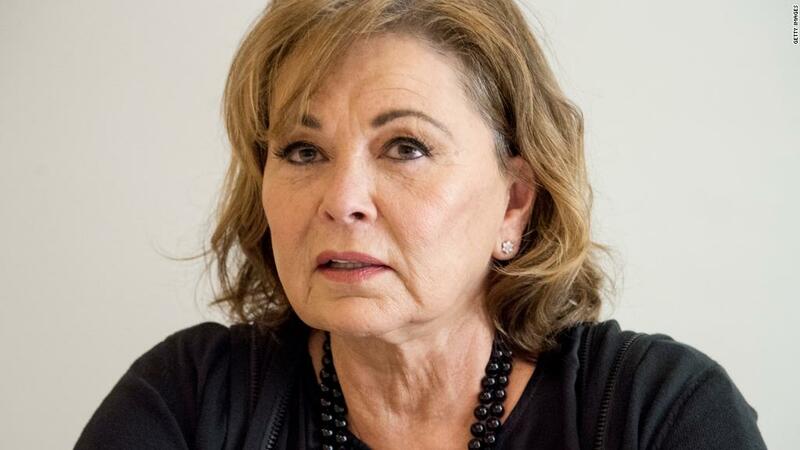 Later in the day, an ABC executive expressed regret that more than 200 people involved in the making of "Roseanne" would be out of work as a result of the cancellation. But the source pointedly blamed Barr, saying "that's the collateral damage that Roseanne has to live with." On Tuesday evening, Barr tweeted an apology to the show's cast and crew. "Don't feel sorry for me, guys! !-I just want to apologize to the hundreds of people, and wonderful writers (all liberal) and talented actors who lost their jobs on my show due to my stupid tweet," she said. Barr also said that she would appear on comedian Joe Rogan's podcast on Friday.